Everyone who knows me well, knows that I am a fan all things wine! I just love the stuff. I love trying new blends and going to tastings and vineyards. But, those who know me even better, know that I am a pretty big homebody that loves to stay in sometimes. That’s why I love the idea of Vinebox! 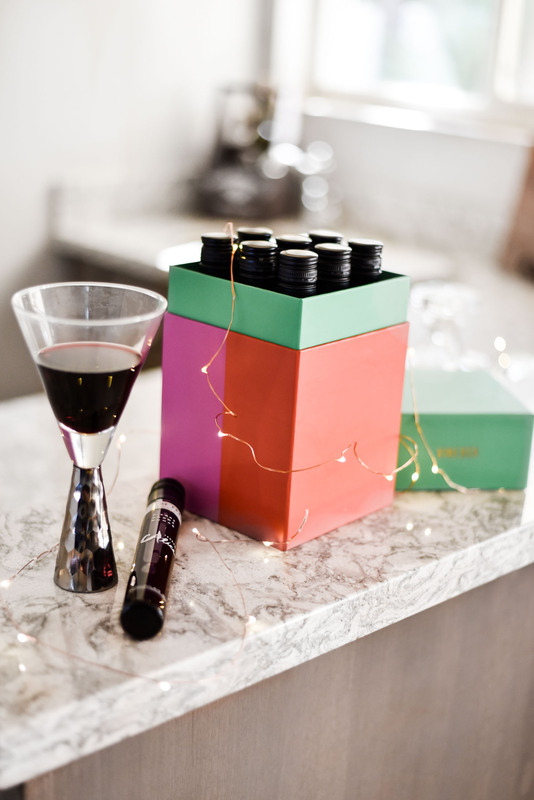 Vinebox gives you a couple of awesome options – making it a fabulous gift this holiday season! You can choose to purchase (or gift) the “New Winer Wines” box of 9 wines (which includes nine distinct and different glasses of wine) as a one time purchase of $79. 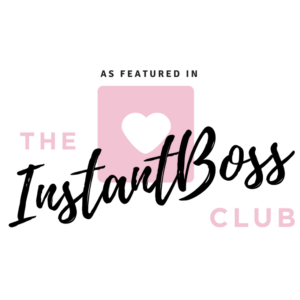 *Discounted if you become a member. To get into the holiday spirit, they have a “Twelve Nights of Wine” box that includes twelve glasses of wine from around the World! This is $129 and would be so fun on the nights leading up to Christmas! I love the idea and exploration into wine that Vinebox offers. Be sure to check out their new box today! You will look like one trendy and cool host/hostess to be able to share a glass of wine from another country! 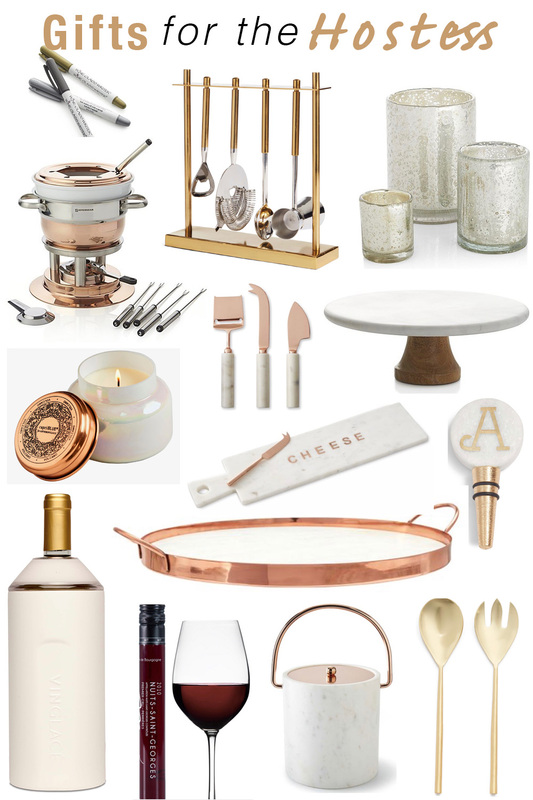 Speaking of being the perfect host or hostess, I have got a fabulous roundup of gift ideas to gift the men and women who love to host! They are all things pretty, trendy and fabulous! Happy Shopping! Glass Markers – The perfect way to keep your guests from mixing up their glasses! I have used a similar product and it works great! Steel Bar Tool Set – Not only is this a useful gift, it’s beautiful on a bar top! Hurricane Candle Holders – The perfect way to create a moody and dreamy space for your next get-together! Fondu Set – I love my fondu set! We used it for appetizers on Easter this year and it was a big hit! Easy to heat and clean. Now, if only mine was this beautiful! Cheese Knives Set – The perfect and prettiest tool to show off your cheese board! Cake Stand – Love the mix of wood and marble on this piece! A great piece to leave out as decor too! Candle – By far the best smelling candles hands down! Every host would love it! Cheese Board and Knife Set – I mean, so pretty and cute! Would love to set this out! Personalized Bottle Stopper – The perfect stocking stuffer gift! Marble Serving Tray – This piece is such a statement in the kitchen! Gorgeous! Wine Chiller – The perfect way to keep that white wine chilled without the ice mess! Genius! Vinebox Boxed Glasses of Wine – The perfect gift for the wine enthusiast! Let them try 9-12 different glasses of wine from around the world! Marble Ice Bucket – The prettiest bucket to hold ice I’ve ever seen! Salad Serving Set – These are so pretty and perfect to toss your next salad for your guests!